Every summer, most residents of the Metro and Filipinos, in general, spend their Holy Week away from the city for a well-deserved getaway and spiritual rejuvenation – usually at the beach. For some, this has ripened as tradition. Year after year, major beaches outside of Metro Manila are packed with both locals and tourists alike. Usually, Maundy Thursdays and Good Fridays are spent reliving the true meaning of the Cross, and our salvation. Black Saturdays, on the other hand, has always been the official day when families and friends go out of town to spend time together and unofficially celebrate the resurrection – and have fun! 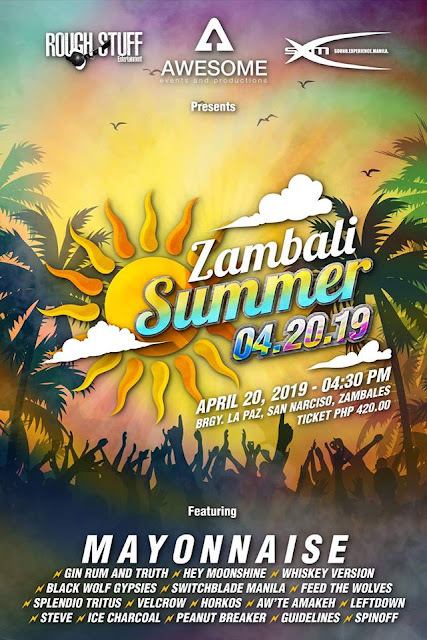 Also, Sambali is the original name of Zambales, which is known for its long stretch of beautiful and pristine beach and there is no better way to bring people together, than thru good music by the beach!